Burton Agnes Hall is a splendid stately home, which is also a warm family home where visitors are more than welcome. There are beautiful walled gardens with over-sized garden games like chess and noughts and crosses. Beyond is the woodland, where kids can feel like real adventurers, at certain times of the year the woodland is used for events such as the Easter Egg hunt and the Halloween walk for those who dare. Visitors can pay to go into the house (beware the ghost of the white lady who is said to haunt one particular room); the gardens; or both. There is also a popular café & tea room and a handful of gift and homeware shops. John Bull Rock factory is a jaw-dropping experience as you see the secrets of rock manufacture unfold before your eyes. There is also a large soft play centre here called Candy Kingdom. Bridlington Birds of Prey & Animal Park is the place-to-be to come face to face with a number of majestic birds of prey including Owls, Hawks and Falcons. 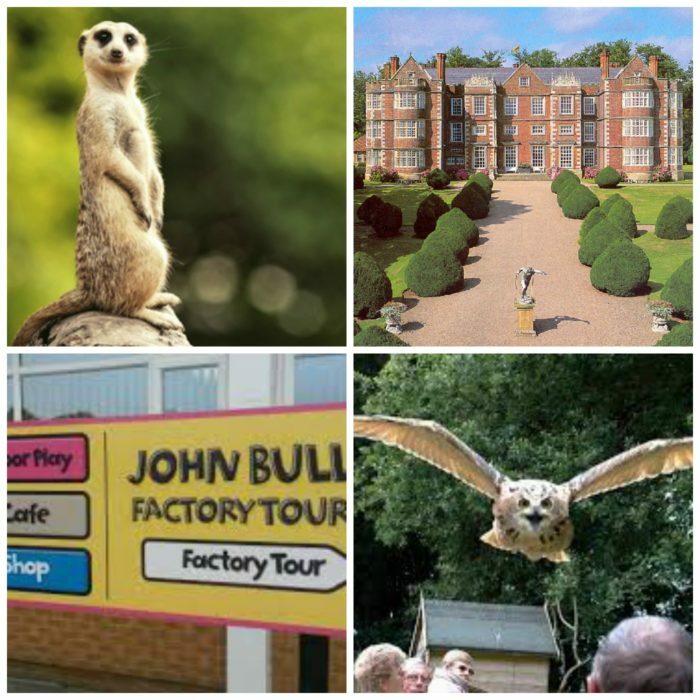 You can also see Meerkats, Wallabies and Alpacas up close too. This park is located within Park Rose Pottery, where you can also find Park Rose Play Barn; an adventure area where children can enjoy crawling through mazes, using the zip cords and playing with the mini tractors. The village also includes a toy shop, tea room, Paint a Pot, Cafe, Factory Shop, Crazy Golf and Pottery Shop. Fraisthorpe Beach is close by to these attractions too if you fancy visiting this rustic, unspoilt landscape and exploring the old war relics – huge concrete cubes pepper the beach, they were designed to prevent tanks leaving the beach in the event of a German invasion. Then relax amongst the sand dunes or enjoy some refreshment at The Cow Shed tea room.